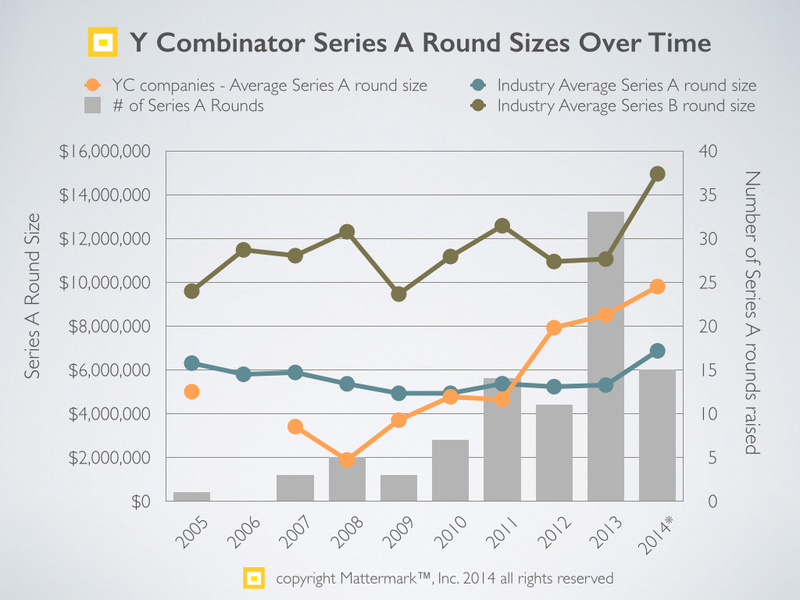 Mattermark is a deal intelligence platform helping more than 200 venture capital firms raise the bar when it comes to sourcing deals, tracking portfolio companies, and understanding the rapidly evolving private market landscape. Sign up for a free trial to learn more, and see how your own investment portfolio stacks up. 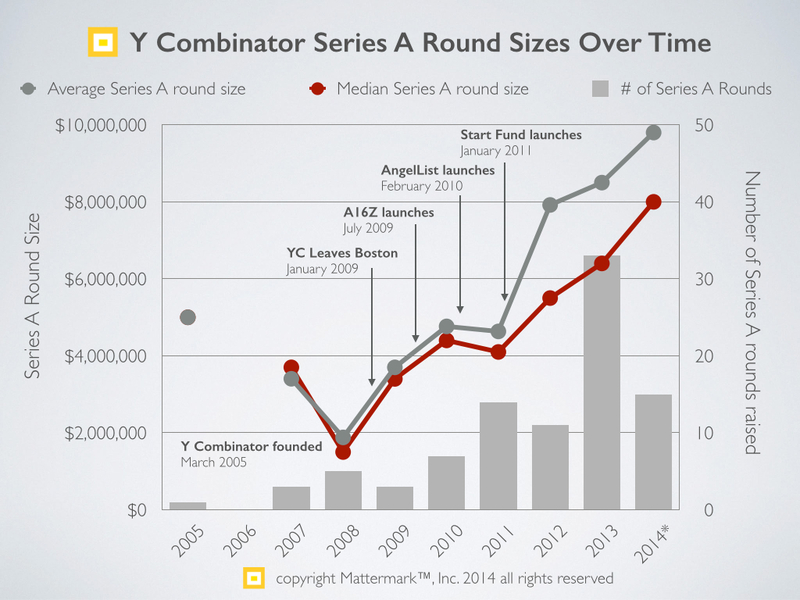 Over the past two years the discussion of the “Series A” crunch has reached fever pitch, with an emphasis on the mounting investor expectations around raising this round. We have also seen some truly massive series A rounds so far this year. 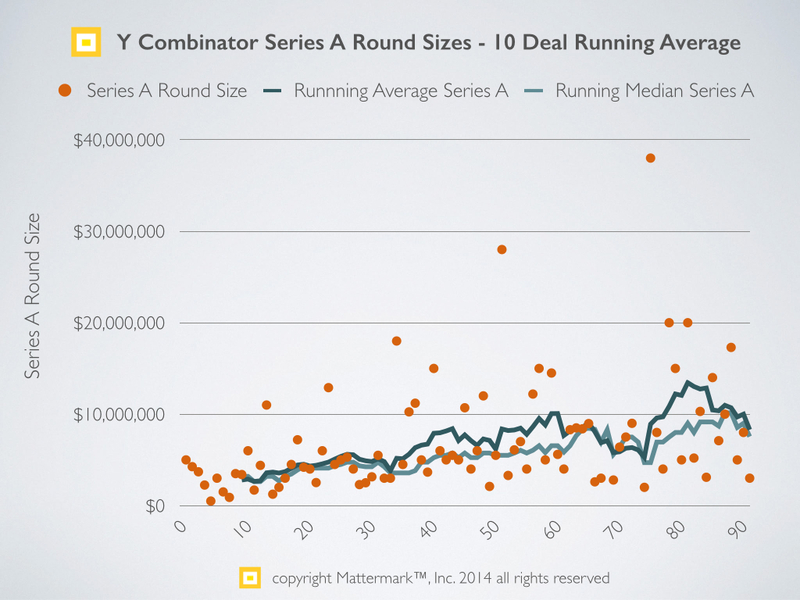 So I was curious, how has a Series A for Y Combinator companies – those who are considered by Valley insiders to fetch some of the highest premiums – faring over time? I collected information on the 92 YC companies to have raised a Series A in their life, and here is what I found. Interested in more analysis on startups, venture capital, private markets and the future of technology? Sign up now for a free 30 day trial of Mattermark Professional to dig into the data yourself, and subscribe to our free newsletter for your daily dose of industry intelligence.